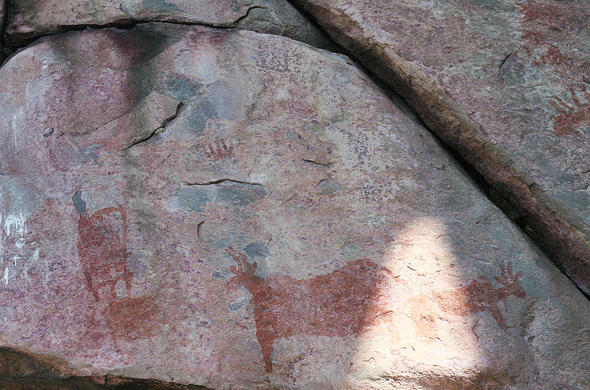 A not-to-be-missed activity when a Central Kalahari Safari is a visit to the Tsodilo hills which are sacred to the San and contain many thousands of rock paintings. 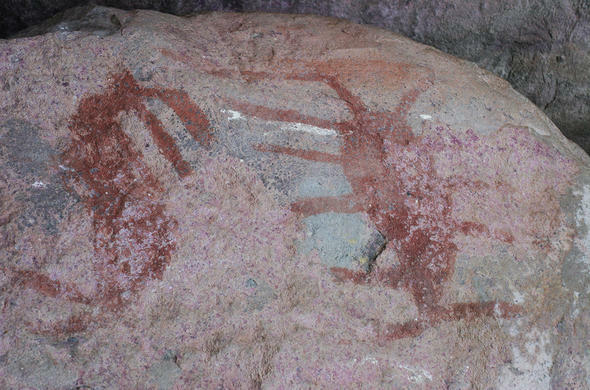 Beneath a vast amount of scientific information that has allowed researchers a glimpse into the history of Tsodilo, there is also a rich tapestry of cultural myths that lend to the prophetic ambience of these hills. 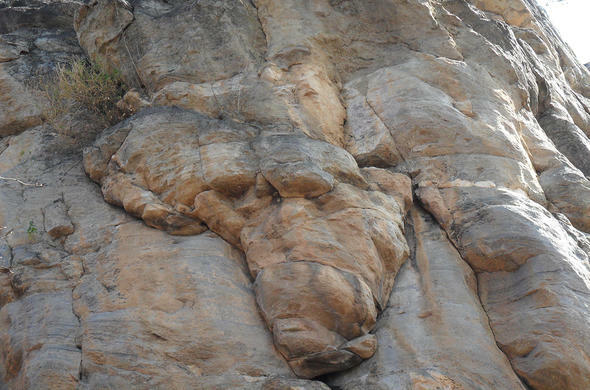 The Tsodilo Hills are the sole inspiration behind the religion of the area - the hills were the sacred place chosen by God as a point where he would create men and animals according to the mythology of the Juc'hoansi people. The creator of mankind according to Juc'hoansi religion was Khara'cuma, who was created as the first of the Red People (the ancestors of the Juc'hoansi) as well as the rest of the animal kingdom. God only later saw it fit to create Black people as well. The rest of these tales as explained by elders of the Juc'hoansi tribe describe a separation between a once friendly relationship between Red People and Black People as well as the origin of White People, who originated from the Red People and enjoyed good relations with them. As to the various names and other interpretations settlers and visitors to the hills created - the Hambukushu name for the hills was 'Diwedyo Diawa', interpreted as the 'Sheer Hills'. 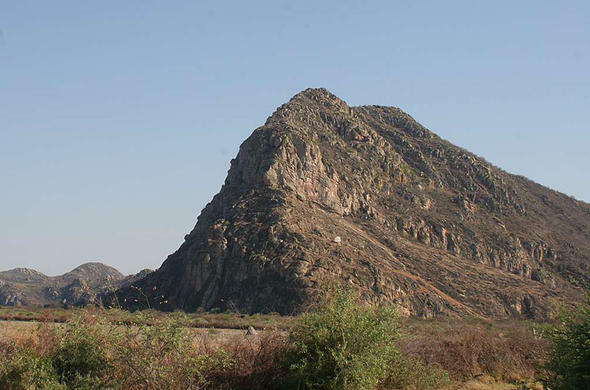 The highest hill in the south that comes in to range if one travels from Sepopa is known as 'Diwedyo Durume' (Male hill), while further north one encounters 'Diwedyo Dikhati' (Female Hill) and even further north is 'Munanenzi'(Child). To the Juc'hoansi, they are the "Tqxinqum" (Copper Mountains) with their respective Khoesan interpretations of the hills. In addition to these three hills, there is also North Hill which lies at the furthest point north and as well as a smaller grouping of rocks further north. The mythology behind the enigma of the hills takes the form of an African fable about an interesting love triangle. The Juc'hoansi claim that their ancestors passed the tale down upon hearing it from the first Khoe inhabitants of the area. As the tale goes, the hills were once people. The male was Gtqwantqoro who was wed to Xaunxwaa (North hill). Gtqwantqoro fell in love with Gobekhu (Female Hill). A fight ensued between Gtqwantqoro and Xaunxwaa and she fled to the North. 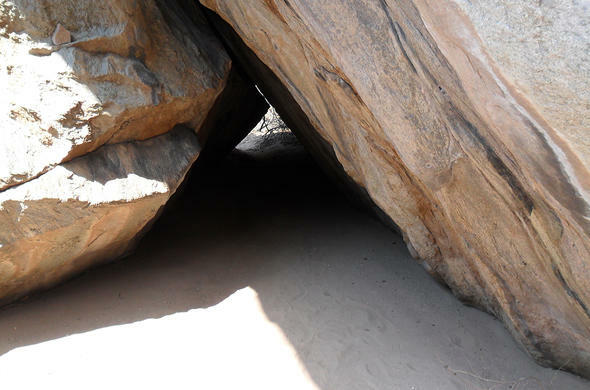 Gtqwantqoro, agitated because she had left, sent his servants Gxakwesi (smaller grouping of rocks at the furthest point North) to find her. However Xaunxwaa, hurt beyond console, refused to return. Gtqwantqoro and Gobekhu then had a child Bienxwaa(to The north of Female Hill). The Juc'hoansi in particular have very strict beliefs that are communicated about the area as the Hills are considered to have made a sacred journey to where they currently are - an event caused by God. As such, it is forewarned that when a person enters the area, to not complain about thirst, hunger or pain in any way else they will be condemned to die. The Hambakushu as the Juc'hoansi believe the hills have magical properties and that it is an ancestral burial ground where spirits roam the hilltops to be closer to god. The Juc'hoansi believe in cleansing routines and submissive acts in begging approval from higher powers. If these practices are ignored, a terrible fate will befall the victims.